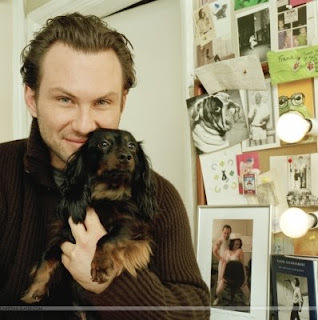 We recently profiled actor Christian Slater in a Dachshunds in Pop Culture feature, and were wondering if anyone had any more info on the little black and tan longhair. 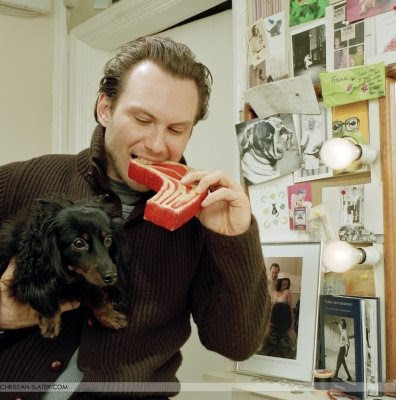 Well, a huge thanks goes out to reader Jill, who let us know that the handsome boy's name is 'Charlie,' and that there are about a dozen photos of the dynamic duo over at the fantastic Christian-Slater.com gallery - really nice photos. Don't miss them. gah!! i'm too new of a reader to have seen this last april. thank you for featuring him in the sidebar!! Buda Wiener Race 2008 Champion: Tyson! Attention Buda Wiener Race Fans!